The Japan Times, CHUNICHI SHIMBUN　Apr 2, 2018　The Japan Sports Agency has introduced a policy of granting at least two days of rest per week for sports teams at public and private junior high schools, in hopes of reducing the risk of injury for students by shortening their practice hours. The policy, announced in March, also applies in principle to high school sports teams, but some coaches claim they already take students’ rest into consideration. Students on school sports teams also have mixed feelings, with some saying that while they are happy to get more rest, they also want to improve their skills. 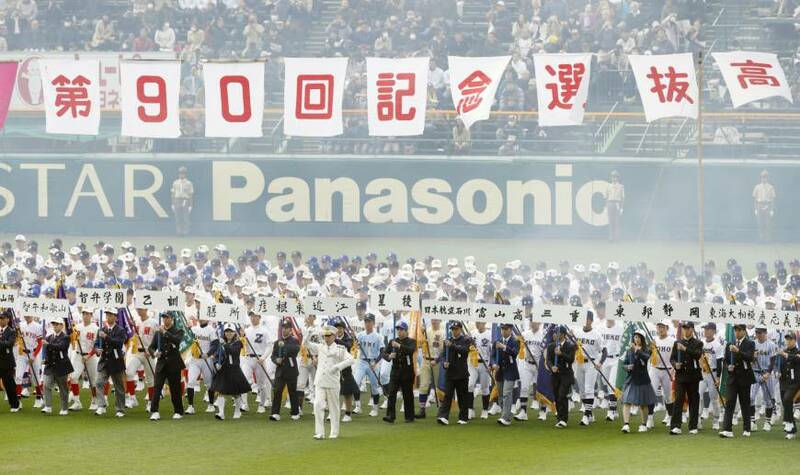 The spring national high school baseball tournament kicked off March 23 at Koshien Stadium in Hyogo Prefecture, with the participating teams engaging in fierce competition. I wonder if the government thinks we are still training the way we used to, said Yasuhiro Morita, the 58-year-old coach at Toho High School in Nagoya, which has qualified for the tournament 29 times. Morita said that during practices in the past, players would train until they dropped dead every day. Now, Mondays are designated as a light practice day so students can rest up. The team’s pitchers go to a rehabilitation center at a medical university once a week to check their shoulders and elbows. “Stronger teams tend to take a scientific approach,” Morita said. The team from Hikone Higashi High School, a public school in Hikone, Shiga Prefecture, that has qualified for the summer Koshien tournament again this year, gets one day off per week. Our school excels in both academics and sports. The athletes have to study as well, so we make sure they are not too tired,” said coach Takayuki Muranaka, 49. Traditionally, the baseball team does not hold morning practices and the players show up at school at 7:30 a.m. to study. This year, Mie High School in Matsusaka, Mie Prefecture, qualified for the tournament for the first time since it was a runner-up in the 2014 summer competition. When you think about the students’ bodies, I agree with the direction that this policy has taken,” said coach Shin Kojima, 28. However, students who want to play in Koshien check each school’s practice method before deciding where to go, so I don’t think it’s a good idea to enforce a two-day rest for every school,” he added. Meanwhile, Kimio Hata, the soccer coach at Akiminami High School in the city of Hiroshima, prioritizes the students’ autonomy. Hata led the team at his previous school, Hiroshima Kannon High School, to a national championship despite giving the players two days of rest a week. Students can still improve by training proactively in a short period of time. I’m not afraid of (letting them) take a break,” he said.